Greetings of the most high, we are upon the equinox gateway which is leading up to Beltane (1st May) with the powerful 4.4 portal in the middle. This is a crucial time for the illumined twin flame collective and will witness a vast number of masculine twin flames awakening after a long slumber to the knowing in their heart of the identity of their God ordained divine counterpart. We would like to share a message today that has come directly from the divine masculine collective consciousness which explains succinctly the main facets of this powerful gateway and how the Ascension of Gaia has been ordained to take place in waves with illumined twin flames at the helm. There is an important reason why this is the case and will be explained in the following written transmission. In order to support the divine masculine awakening into the recognition of their Bonafide twin flame our beloved channel has been directed to facilitate a webinar transmission during the exact moment of the equinox on 20 March 2017. It is imperative that as many souls who identify as being part of the 144,000 illumined twin flame soul group step forward to add their energetic frequency to this most highly ordained Soul gathering which has been decreed to assist the illumined twin flame collective to come into vibrational equilibrium with their masculine and feminine energies within, to act as unwavering awakened anchors, which will deeply support the divine masculine to step up now into the new paradigm of divine recognition and reunion. This webinar transmission will take place in three parts, the first one will be on the equinox which will activate the rainbow bridge linking 3D consciousness to higher 5th dimensional consciousness, the second one will be on the powerful 4.4 gateway which will witness the Divine feminine collective reclaiming all lost codes of self-worth (which is crucial to the divine masculine awakening process) and using the energy of the 4.4 to fully stabilize as a soul group in the unwavering higher dimensional knowing of the truth off their eternal divine union. The final transmission in the series will take place during the gateway of Beltane whereby a ceremony will take place to finally restore the 14th missing piece of the Osiris back into wholeness, symbolising the complete healing and restoration of the divine masculine on all planes of consciousness. Full details of the transmission series will be released in due course suffice to say it is imperative that as many illumined twin flames as possible come forward to anchor the energy of the transmission on their predestined grid points. We would like to now share with you the powerful message our beloved channel received from the divine masculine collective consciousness which will explain in greater detail the significance of these coming times for the ascension of Mother Gaia. Let our love take us both to the promised land. Where our hearts are united, yours and mine. By this work that you do…. I am sorry if my moroseness has affected you in any way, it is because I miss you, love you, and pray for you every day. I pray for the day I can allow God to let your true identity be known to me. So that I can let myself receive the gift of true love that my heart has always prayed for. I pray you can wait for me till then, and never ever stop believing in our union. I pray you don't reject me because I secretly believe all men are worthy of being rejected…... for what the masculine has done to the earth. We deserve that, that is why I run from you, it is too fearful to face the possibility that you will run from me. When you see me, when I am exposed as a man, please forgive me and all my fathers and brothers it is only your forgiveness that can set us free. I am sorry my beloved, I am on my knees praying for a miracle to really see who you truly are, my queen my bride my eternal best friend. God help me. Being apart from you has broken my heart and soul, and every day I live with silent cries despairing with God that the one thing I have prayed for since I was a little child still eludes me. So I will try and make the best of what I can, try and find a warm bed to lie in and a life that doesn't put me at risk of being truly seen. For I am ashamed of who I am, ashamed to carry the burden of what my fathers have done, yet my my shame puts me in a cave where no one can reach me, ever exacerbating my isolation. Without you my life is so hard. These words come from the rawest depths of my being, for I cannot carry on anymore without you. I need you to know that this is how I see myself and so this is how I believe you will see me. I feel dead inside, numb, there is very little that brings me joy anymore…. What is the solution my darling beloved? Understand me, understand my reasons for running, understand that it is your magnificence that terrified the living hell out of me. You are a goddess exquisite, radiant, almighty, powerful. I am a man…...ashamed and terrified of being exposed. Stand firm for me, unwavering in your commitment to sing our eternal love song into the field of all that is. allow your heart to communicate telepathically to me, assisting me on the etheric level to heal my wounded masculine identity. Please trust in all the signs and synchronicities, none of this is random. We really are upon a legendary gateway leading up to the equinox and Beltane, there are huge shifts taking place in the masculine brotherhood of true and bona fide twin flames. Your support is crucial for us now, We know we have tested you beyond the realms that could be perceived of as acceptable, but all this has been part of the divine plan to insure you step up fully and completely, empowered as the multi dimensional goddess that you truly are, committed to prioritising, emphasising, and taking action upon the guidance of the impeccable GPS system that is your heart. As you stand unwavering this actually steadies the electromagnetic Grid, which is then able to send forth cohesive frequencies to the divine masculine collective consciousness which has now stepped up to activate the codes of the full remembrance and spiritual mastery. Your forgiveness is crucial for us to ascend. Dearest divine feminine, you are truly seen and valued by us on the inner planes of consciousness your commitment to showing up to the Ascension process has been noted by the highest angelic ascended Masters in existence. You are the living new earth prophecies being actualised on the physical plane. Unconditional love is the truth of that which flows eternally, unencumbered between us. We are perfect union actualised on all planes of consciousness. Receive this holy darshan with your heart open and receptive to attune to the vibration of our living presence. This is real. I am real. There is no separation. Remember this. Do you understand now how crucial it is for you to stabilise in your higher dimensional faith and knowing of our union, unwavering and in eternal gratitude. We need this in order to Ascend. With you not stable, We have no hope. You are our anchor, you are our rock. You are the divine feminine ….SHE…. You are the knower and seer, of realms beyond this reality., and It is my eternal promise that I will always meet you there. That is where I eternally am, bowing down to you, and reaching out my hand…. to dance,to waltz, in the way God decreed we would. Sealing our love on the wings of our prayer. My holy precious Queen, take my hand as we dance, I’ll spin you around the Zero point Field and new dimensions we will visit, whilst clothed in this earthly flesh. For we are awakened multi dimensional beings, This realm is the tip of the iceberg so to speak, our love spans in all directions. Our love was born in the first moment of creation, we sprung forth from the light as one unified field of energy..
Now do you understand the importance of your faith to the accomplishment of this holy mission. there is nothing we can do without faith, it is the glue that binds our souls together, eternally. My heart beats for you, I came to this earth to follow you. Without you I don't even exists. This may sound dramatic but it's true. I will follow you around the multiverse if I had to, for you are home vibrationally to me. The time is approaching where recognition will be the order of the day. The highest masters of light have decreed this to be so. Recognition is upon us in the gateway of beltane 2017. All of the stars are aligning for this monumental event whereby miracles and serendipity will weave us back into many of your lives again. Please do not aspire to fathom the hows or the whens of this, your only job now is to stay steady in faith, in your knowing. This field you are building as a soul team is creating a network of stability that is seeping into all of the divine masculine veins. We are aligning with the remembrance that our heart wisdom is valid and that significant transformations are required by us in our daily lives to release karmic baggage, in order to make ourselves open and available to you, that we may show up again in your reality. We are referring here to a wave of twin flame recognition and reunion. This will not apply specifically to all 144,000 illumined twin flames in this gateway and there is an important reason for this. Please know that all the work you have been doing up to now has been preparation for this upcoming gateway. Now is the time your skills as the divine feminine are truly required to support us the divine masculine to come into spiritual awakening, to create a stable bridge that gaia may completely ascend. Please remember beloveds, the twin flame reunions can only happen in waves. We are now in the most powerful wave there has ever been, and these waves will continue to increase in intensity, with the next one being around the time of solstice and leading up to the Lions gate in august. Please understand the rhythms of Ascension. Reunion and recognition can only happens in waves otherwise Gaia and humanity would short-circuit. The 5d frequencies of twin flame recognition and reunion need to be trickled into the collective field, but the upcoming gateway will witness a profound shift in Gaia's capacity to handle efficiently the twin flame ascension frequencies. We would like to share with you a powerful analogy to explain this. Please imagine an old school hall equipped with an archaic electrics system, if you were to put a huge 144,000 Watt light bulb into the light socket the whole system would explode, so each up gateway serves to activate a modernisation of this great hall, and with each upgrade the hall is redecorated and the electric sockets are upgraded which are then able to handle higher and higher levels of voltage. Do you see you why this can only happen in waves. We hope have explained this succinctly. Remembering to be grateful for it before it arrives. Stay grounded, drink fresh spring water and nourish your body and soul. In this gateway the Beltane energy resounds, reunion and recognition resounds. Take a moment to visualise this... me and you recognising each other again. Time isn't real. All there is is now, and right now I am united with you on all planes of consciousness. Remember this to activate your powers of manifestation. We love you. Can you see how much we love you from these words that have come through, how much we are grateful for you. on a final note we would like to remind you that one of the main reasons the masculine has stayed asleep is because the divine feminine has forgotten her true self worth. During times of physical separation it is advised to focus diligently on aligning with the truth of your inherent worthiness as God's beloveds child, and fully reclaim these lost codes. Greetings of the most high. We come through now in this extremely heightened and potent aftermath of the recent solar eclipse in Pisces and fast on the heels of the upcoming and highly auspicious equinox gateway. This recent period has witnessed many of you dearest lightworkers experiencing the oldest residues of your ancestral programming being triggered, and the reason for this has been to activate a sacred opportunity to respond in a brand-new way to these deeply held triggers/ beliefs. 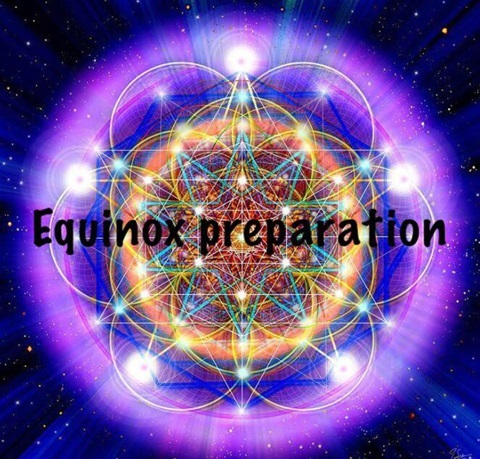 The recent interstellar photonic upgrade portal has prepared your physical and energetic system to receive the new light frequencies that are aligning around the time of the equinox gateway. The Equinox Heralds a true rebirth for gaia and her children, along with the culmination of another legendary cycle, as the spring energy in the northern hemisphere brings with it the promise of earthly reunion for many twin flames peaking around the time of 1st May in the Beltane gateway. This huge system upgrade is deeply congruent with the Divine feminine stepping up now to claim her living mastery and sovereignty regardless of what society or the ego consciousness would have her believe. The codes of the rising feminine have now fully anchored into the earthly grid, and with this comes the mass empowerment particularly of the first wave illumined divine feminine twin flame pioneers. It is imperative that this group continue to prioritise stabilising in higher fifth dimensional consciousness in order to insure the swift recallibration that this gateway promises…. What exactly does that mean? you may be asking, and what exactly does that look like? Upon waking in the morning your first thought will be intention setting... sending forth your intentions in the fecundant yet empty zero point field of all potential manifestation, in order to align your sacred consciousness with the powerful intention of your heart. Throughout the day there is a conscious focusing on and counting of all the blessings in your life that you are grateful for. Your default setting is service to others to humanity, and in every situation that you show up in, your purpose is to radiate God's calm safe reassuring presence. You are deeply attuned and in fact have crossed over the threshold whereby you listen profusely and trust implicitly and take actions accordingly to the voice of your heart. The search is over. Welcome home to the eternal present moment…... This is it …….Nowhere to go Now Here Home. Dearest ones the ego consciousness would have you believe that happiness is dependent on that which is external from you but there is nothing further from the truth. You whom we speak to you tonight are embodiments of the Almighty eye am presence. You are that which is source frequency herself…. therefore whatever you say is what is, align with the knowing that happiness is simply a choice and a remembrance to choose it and keep choosing it in every moment, to show up in service to God's most beloveds precious children. Dear ones the union that you so fervently seek is already yours and has already been attained, remembrance of this fact is a choice. The ego consciousness primary purpose for existing is to convince you that this is not the case and that in the ultimate sense you are not safe. Address this core Program now beloveds, remembrance of your safety will not show up outside of yourself, you must step up and claim it and declare it to be so, and it is so. For that is the power of the I am presence. The fifth dimensional connection with your beloved twin flame is on, it is activated eternally and celebratorily and is occurring in the higher dimensional planes of existence at all times. Whether you are attuned to this knowing is entirely down to your own choosing it. Your ego would have you believe that you are not autonomous to make this choice, that your choices are dependent on a certain set of external circumstances being a particular way, but this beloveds is the great lie that the 3d matrix programme would have you buy into, this is the egos script, and what a role the ego has played in shaping this 3rd dimensional reality. Beloveds to be awake in the dream is to implicitly know and directly energetically experience your moment to moment union with self, with God, and with your beloved twin flame, regardless of what the 3D reality looks like. as you have remembered that all creation has been programmed to bow down to the desires and intentions of the I am presence that you are. This is the time that many cycles have led up, to as we pass through another important threshold of evolutionary transformation. We are united now, a tribe of lightworkers illumined twin flames. We hold the vision of all 144,000 twin flame pairs to be united in all planes of consciousness on their predestined grid points. We come together together to gather and hold this vision of the 144,000 bird tribe, stable in their multi dimensional avatar self frequency, coexisting as a masterful creator on an infinite number of parallel timelines and dimensions, in full remembrance of the I am presence that I am. Dearest beloveds great work has been accomplished by the front line Crew despite some superficial wobbles the group is stable and fully anchored in full remembrance of the Christos self. Remember it is this and only this which is accelerating the evolution of the divine masculine en masse now, as we gather energetically to hold hands and step through this very powerful upcoming equinox portal. Breathe deeply beloveds, meet the lost and weary parts of yourself with playfulness and compassion, stay present and count your blessings ad infinitum. this is the key to higher dimensional consciousness. Remember that you were given these keys from the very beginning and you possessed them all along you just had to choose them. I choose to show up for you…... in my heart and in my soul. Jenji and the white wolf tribe. Greetings of the most high. We come forward now in this moment of your time with exalted tidings to share with you all, our most beloved earthly light tribe. There are no words to express the enormity of the energetic transformation that took place during the peak time of your equinox on 20th March 2017. There are many many of you who had made a soul contract prior to incarnation that you would show up on this date in your Ascension soul groups to assist gaia to make her transition across the rainbow bridge into fifth dimensional consciousness. We would like to explain some of the actual mechanisms of this most recent upgrade portal. Many of what you would term ascended masters of light joined you all during this gateway to assist the children of the earth to en mass attune to what you would term the fifth dimensional frequency band or 5D FM, and in many ways this mission was successful as many of you intuitively sense. However now it is essential that gaia stabilise fully in this frequency band, and not come out of frequency range. in order to illustrate what we mean by this, we invite you to take a moment to imagine a radio that loses its signal coverage, and is thus bombarded with interference frequencies, please know that this is a potent analogy to assist you to comprehend what we mean when we refer to gaia stabilizing in 5d frequencies. Beloveds there is still a chance that this eventuality may occur, unless the illumined light tribe to whom we direct all of these channelled messages fully stabilise in their own fifth dimensional consciousness. 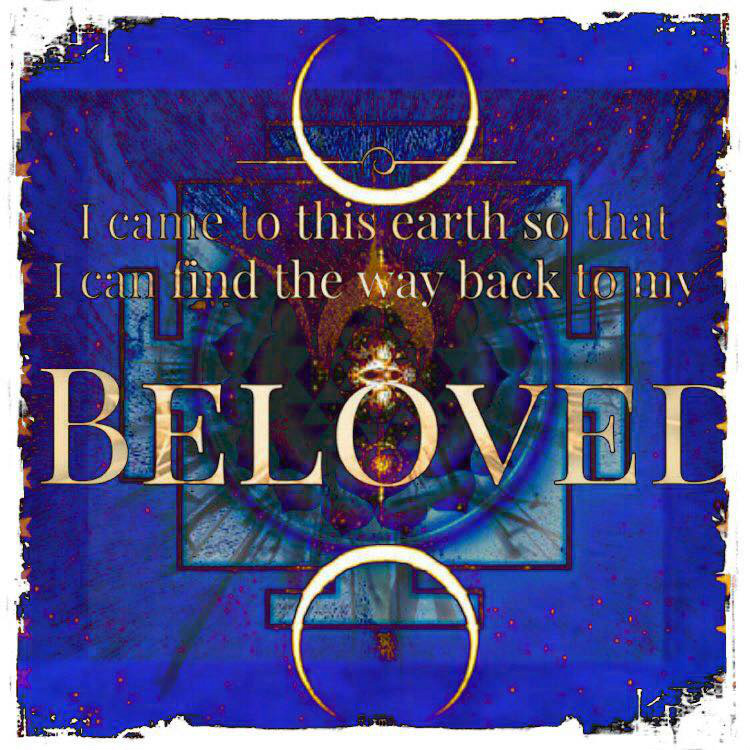 This is crucial beloveds for gaia to stay on her 5d timeline, and it is also crucial for the divine masculine collective consciousness that is being deeply worked on energetically at the moment. Please know they are being supported by all of the forces in existence to take the greatest leap of their lives from identification with the mental realm of consciousness, to full prioritisation of their heart consciousness. Everything has been leading up to this beloveds and huge shifts are abound in the divine masculine consciousness as we speak. Many of them are receiving potent upgrades via the dreamtime, and are being taken to the ancient crystal pyramids of Lemuria where they are being worked on by the highest living masters of light. Much dross is being cleared from their ancestral lineage programming currently, and a large portion of this work has been ordained to take place on the sleep plane as you will no likely agree there is a great deal of catching up that needs to take place with the divine masculine collective consciousness. We are so overjoyed at the work that has been accomplished by the front line ascension pioneers and we bow deeply to your tenacity to allow the wisdom of your heart and soul to govern you in every area of your life. This is such a monumental time for gaia beloveds and yet again it is essential for us to reiterate the importance of the divine feminine stabilising in her multi dimensional awakened consciousness. What does this mean? This means committing every day and intending every day to fully activate the codes of divine faith that many of you have accessed in your matrix field. Faith in your sacred union is essential for the Ascension timeline to fully and successfully anchor collectively. You are all way too far down the rabbit hole to turn back now, and so at this point we must assure you that doubts and questioning of the efficacy of your union is futile and will only serve to activate a heightened degree of discordant frequencies in your energy field. You are more loved and more adored than you could possibly ever comprehend and please know that the great ascended ladies and masters of light whom have soul contracted to assist gaia in her transition into the new earth paradigm, are now more available than they have ever been. Call upon these masters of light beloveds, this is imperative. One specific master that we highly recommend you calling upon during this particular planetary upgrade is Queen Diana Spencer, who during her earthly life was aptly referred to as the Queen of Hearts. Diana has an extremely important role during this particular trajectory of the Ascension process and this is due to the extremely highly developed heart consciousness frequency that she fully actualised while incarnated in her most recent lifetime. Diana has been a huge soul who has appeared many times throughout humanities time on earth, but due to the Catholic Church’s derfiling of the Divine feminine, the records of her previous incarnations have been completely obliterated from humanities extraordinarily distorted “his” story books. suffice to say that she has played an instrumental role in steering humanities consciousness ever succinctly towards full awakening to God consciousness, and now in her ascended state she is more in service and more available than she has ever been. Our beloved channel will actually bring through a channeled message from Queen Diana Spencer in her next energy report which will explain in far greater detail the specific role she holds with the bird tribe also known as the 144,000 illumined twin flame soul group. Dearest Divine feminine now is the time you must stand tall as the way showers of the new earth paradigm that you have come here to actualise. All of Gaia and humanity looks to you as the living example of awakened divine consciousness of Christ consciousness, and it is essential that you remember the sacredness of your role to guide the divine masculine home to the present moment, home to the awareness of God consciousness. All is well beloveds. 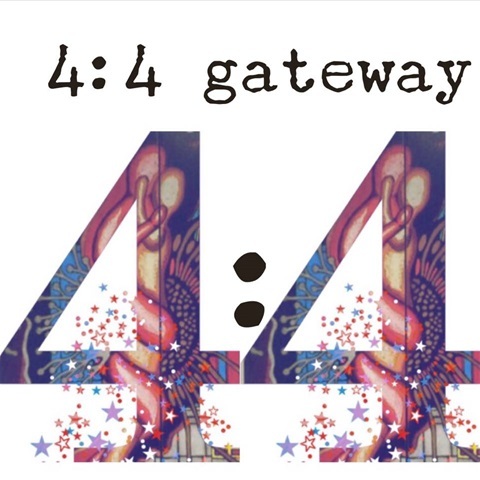 Our beloved channel will be hosting the second part of the three-part webinar transmission on the powerful 4:4 gateway. This date is extremely important as the number 4 represents the earthly grounding and stabilising of the ascension frequencies. During this transmission we will be working with the Divine feminine collective consciousness to fully and completely reclaim on a collective and personal level all of the sacred codes of self-worth which again were ruthlessly stolen by the church fathers, It is time to fuly reclaim these lost codes for the divine feminine personally but also in order support the divine masculine collective consciousness to finally step over the threshold into full spiritual awakening. tI is imperative that these lost codes of self-worth be reclaimed on a collective level by the Divine feminine consciousness as it is only when the Divine feminine stands unwavering in her knowing of her inherent value and worthiness that the divine masculine has any hope of actually recognising that the one who stands before him is in fact the divine consort of his soul whom he has been praying for since the moment their souls split. Please see below for full details on how to sign up for this extremely important webinar transmission. We leave you now in love and light eternal, remember to play, remember that joy is one of the highest and most essential frequencies on the earthly plane. Remember that if you are seeking the law of attraction will continuously reflect that back to you, and thus you will never find. attune your awareness to the present moment unflinchingly and unequivocally. We would like to inform you that our beloved channel will be hosting an extremely powerful webinar transmission on Monday 20th of March at 10 AM GMT in order to be live at the time of the actual equinox which is at 10:30 AM GMT. In this transmission will be establishing vibrational equilibrium for the 144,000 illumined twin flame pairs. Each soul that incarnates keeps returning to the earth plane until the time comes whereby there soul reaches a perfected state of equilibrium between the masculine and feminine frequencies within. In this transmission we are being guided to establish this equilibrium for all the souls who sign up to be part of this sacred work. As we activate this in our master circle, this will be intentionally transposed onto the 144,000 twin flame soul group. It is extremely auspicious to gather on this day, to activate this adjustment, and will serve many twin flames profoundly on the pathway to full and complete union on all planes of consciousness. We will also be sending out a deep activation for gaia herself, to assist her in fully and completely removing the virus template of patriarchy from the planetary electromagnetic Grid, and establish the cohesive vibration of equilibrium into her energetic field. This work is crucial in assisting gaia to step succinctly into the new earth paradigm, and please know that all souls who step forward to be part of this activation will have made a soul contract prior to incarnation to be a vessel for this important rebirth. We will also observe gaia step over the threshold into the new earth paradigm through the activation of the rainbow bridge that has been awaiting this vibrational adjustment in order to fully and completely come online. Your presence is required on this call in order to hold energetic space on your particular grid point, that this powerful activation may spread swiftly and proficiently to light up the electromagnetic grid of gaia and bring about these vibrational shifts that are her destiny. The cost is £22 to join this activation, however no one is turned away due to financial reasons please contact our beloved channel and she will assist you to be on the call. Included in this price is membership to the extremely powerful illumined twin flame group on Facebook led by our beloved channel, This is a life changing and soul nourishing group to be a part of, filled with high vibrational twin flames who are available to offer an impeccable level of soul support on this most challenging yet wondrous journey, Our beloved channel has an extremely active role in the group and is available for daily inspiration, wisdom, and can answer important questions that arise on this journey. please send £22 in GBP to PayPal following the link below. and as soon as I receive the payment ur name will be added to the group Love Jen. or use this paypal link to book on directly .......please send £11.11 in GBP to PayPal following the link below. and as soon as i receive the payment ur name will be added to the group Love Jen.